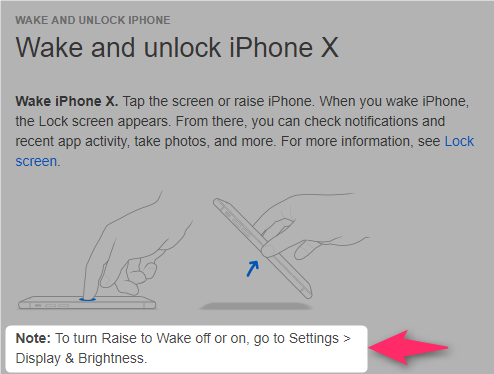 Wake iPhone X. Tap the screen or raise iPhone. When you wake iPhone, the Lock screen appears. From there, you can check notifications and recent app activity, take photos, and more. For more information, see Lock screen.